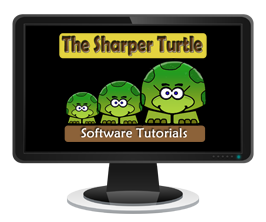 The Sharper Turtle. YouTube tutorials to help you master Cyberlink Power Director! You can click on the headings as well as the drop down selections. Making the text pop with the Title DesignerMake a word or characters enlarge and then shrink. How to build titles with text and objectsCombine text and objects for unique titles. How to add objects in the Title DesignerThis shows you a more subtle technique for enhancing text with objects. How to change font color for emphasisChange the font color and/or border of a paragraph. Scrolling text or narration contentScrolling text while someone is talking. How to add tracks in Title DesignerDon't settle for 1 or 2 text tracks in your title design. You can add and control as many as you want with different fonts, motion, and effects. How to underline title textThe default text editor doesn't come with an underline. What can you do? How to add lines without using a graphics editorUse color boards to add horizontal or vertical lines in your project. How to use and modify 3D-like titlesUse the provided template and change it as you wish. How to customize 3D titles with your own graphicsBuilds on the tutorial above to show you how to import your own graphics into the title face. Make a title appear in the middle of the screen and scrollPut a title in the middle of the screen and make it scrool horizontally. Scroll text across a lower third color stripScroll text across a color block and hide it before it reaches the end of the screen.